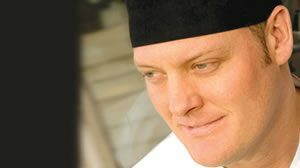 As Executive Chef of Sanctuary on Camelback Mountain and its signature restaurant, Elements, Beau MacMillan inspires his staff with his passion for fresh ingredients. His ingenuity in the kitchen is stimulated by his belief that food should not be overworked, but rather appreciated for its simplicity and natural perfection. This philosophy is evident in Chef MacMillan’s innovative seasonal menus that focus on fresh, local ingredients procured from a network of artisans and organic farmers. Duck Pond Cellars owns and operates 840 acres of vineyards in the valleys of northern Oregon and slopes of eastern Washington. Growing in these diverse climates allows Duck Pond Cellars to produce the best quality fruit for a wide selection of wines. The Duck Pond Cellars story began in 1993 in the collective hands of owners Doug and Jo Ann Fries, sons Greg and Matt, and daughter Lisa. Together, they created Duck Pond Cellars, and each family member is charged with specific winery tasks. Heidi Peterson Barrett grew up in the Napa Valley in a winemaking family and was destined to become one of the world’s foremost winemakers. It is said that winemaking is a combination of science and art. With her father a scientist-winemaker and her mother an artist, it’s no surprise that Heidi’s natural born talents led her to the wine industry. With great enthusiasm, a love for what she does, and an abundance of experience, Heidi’s instinctive gift of integrating the art and science of winemaking is unparalleled. Having grown up in a traditional Italian-American family, DeLucie was constantly surrounded by great food. After trying a few 9-to-5 jobs, he quickly discovered that a career in the culinary world was his true calling, and after culinary school, he took some time to explore the culture and cuisine in France, Italy and Spain. It was during this time that John defined his cooking style, fusing modern cooking techniques with European flavors. John A. Terlato, along with his brother and father, shares the belief that the future of the global luxury wine category is very bright, for the Terlato Wine Group, its suppliers and their brands. 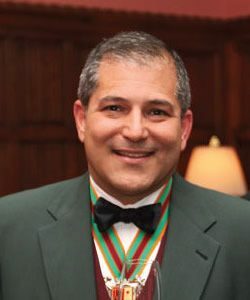 John A. Terlato serves as Vice Chairman of Terlato Wine Group (TWG), the parent company of several independent businesses specializing in the marketing and production of luxury wines. Additionally, he serves in the functional roles of TWG’s Executive Vice President and Chief Administrative Officer. Scott came to B & A with a college degree from the University of Central Florida and has been with B&A for 8 years. Prior to those 8 years of Food-service sales experience, Scott has worked in all facets of the food service industry. He has developed and enjoyed a great working relationship with Operators, Distributors, and Manufacturers throughout the entire east coast of Florida encompassing Jacksonville to Key West. Scott is also ecstatic to call B&A Food Sales his home as he continually takes to market his professionalism and almost a decade of industry experience. Tuck and his family moved to the Napa Valley in 1975 to begin their involvement in the California Grape Growing business. His love of the farming and wine making process began almost immediately as a young boy. In 1997 he began producing a small amount of Cabernet Sauvignon under the Tuck Beckstoffer label that quickly became one of the most critically acclaimed wines to come out of the Napa Valley. 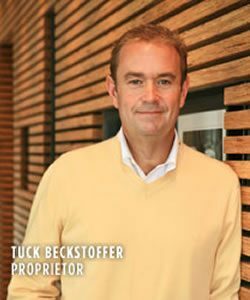 In 2004, Tuck created Tuck Beckstoffer Wines. He and his family’s farming legacy, combined with his personal knowledge and experience in the vineyard and cellar supports his commitment to produce these creative, exquisite wines. Born on South Caicos, Wesley Clerveaux received his undergraduate degree from the University of the West Indies in 1997 in Marine and Fisheries Science. 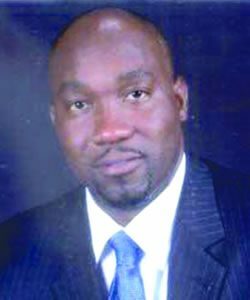 In 2003 he obtained his MSc. in Natural Resource Management. Wesley has worked in Turks & Caicos Islands Fisheries Department since 1992. He began as an assistant to the Scientific Officer where he was involved in programs including queen conch stock assessment, spiny lobster recruitment studies, artificial habitat studies and spiny lobster morphometric and larval studies. He is now Director/Chief Conservation Officer with direct responsibility for managing the fisheries as well as overseeing the management of all the natural resources in Turks & Caicos. As executive chef of Sage at Aria resort in Las Vegas, a seasonal ingredient-focused New American dining spot, Shawn McClain curates an ever-changing menu of contemporary American cuisine with global influences. His spirited New American menu features the irresistible freshness of California local harvest interwoven with Mediterranean undercurrents, taking the strip to a new level of seasonal dining. A James Beard Award winner, McClain received culinary training in Chicago, where he honed his skills opening Trio, Spring, Custom House and Green Zebra. 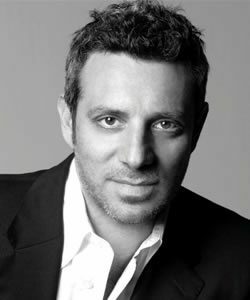 The sixth annual event welcomes Kim Canteenwalla, principal and co-founder of Blau + Associates as well as co-owner and culinary visionary behind the award-winning Honey Salt in Las Vegas. Former executive chef of the MGM Grand in Las Vegas and the Beau Rivage in Biloxi, Mississippi, Canteenwalla has managed restaurants and resorts around the world, including Cambodia, Indonesia, Dubai, and Thailand. A participant in dozens of high-profile culinary events, Canteenwalla is a four-time participant in Best Hotel Chefs in America series at the James house and proudly serves on the Culinary Council of Three Square, a Las Vegas based food bank. He also works as a culinary advisor for the Life Is Beautiful Festival, an annual celebration of art, music and food in Las Vegas. 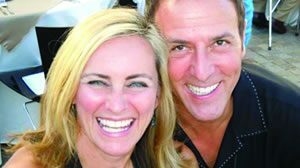 Currently, he serves as chef partner of Buddy V’s Ristorante, a collaboration with his wife Elizabeth Blau and TV’s “Cake Boss” Buddy Valastro. Recently, the restaurant power couple announced two new restaurants in Las Vegas: Made L.V., a modern American tavern, and an unnamed concept scheduled to open in Downtown Summerlin. As one of 144 Master Sommeliers in the United States and 6 in Chicago, Ken Fredrickson is an acclaimed judge of many wine competitions. He is a member of the elite international Court of Master Sommeliers and reached the ranks of Master Sommelier in 2000 following critical acclaim for his wine programs alongside world-renowned chefs Charlie Trotter at Charlie Trotter’s in Chicago and Wolfgang Puck in Las Vegas, at Spago and Chinois. Fredrickson currently operates Tenzing, an artisanal wine and spirits importer and wholesaler in Chicago, and holds stake in Brewer – Clifton Winery located in Santa Barbara County California. The winery is 100% Estate with 65 acres under vine concentrating on just Pinot Noir and Chardonnay. Founder of Lail Vineyards and longtime Napa Valley vintner, she is part of one of the greatest family legacies in Napa Valley. Lail’s accomplishments include co-founding Dominus Winery with Christian Moueix in 1982 and co-founding Maryville vineyards with Bill Harlan in 1983, where she served as president for twelve years. 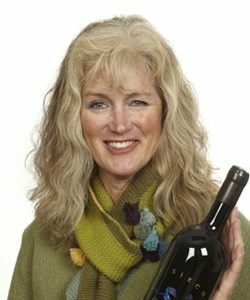 Selling both ventures in the 1990s, she began creating her own extraordinary wines when she, along with her two daughters, Erin and Shannon, started Lail Vineyards in 1995. Her lengthy legacy in Napa includes co-founding the valley’s primary fundraising event, Auction Napa Valley. Today, the venture carries forth the stories of more than 135 years of winemaking in the Napa Valley. Lail continues her family’s exciting legacy and her passionate quest to produce world-class wines.